Enthusiastically impressed from the workshop at Studio NAFA the winners of FEA’s 2015 Greek Young Designers’ Competition. Posted on September 2, 2015 Comments Off on Enthusiastically impressed from the workshop at Studio NAFA the winners of FEA’s 2015 Greek Young Designers’ Competition. With the best of their impressions the winners of Greek Young Designers’ Competition which was organized by Hellenic Association of Furriers in the framework of Fur Excellence in Athens- 2015, returned from the workshop at Studio NAFA. 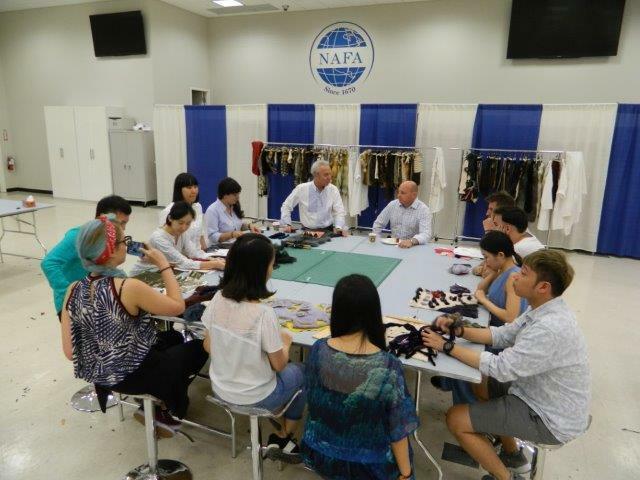 For a whole week at studio NAFA in Toronto-Canada, they had the chance to share information, perspectives and experiences about fur with NAFA’s associates and managers as well as with other young designers from China. 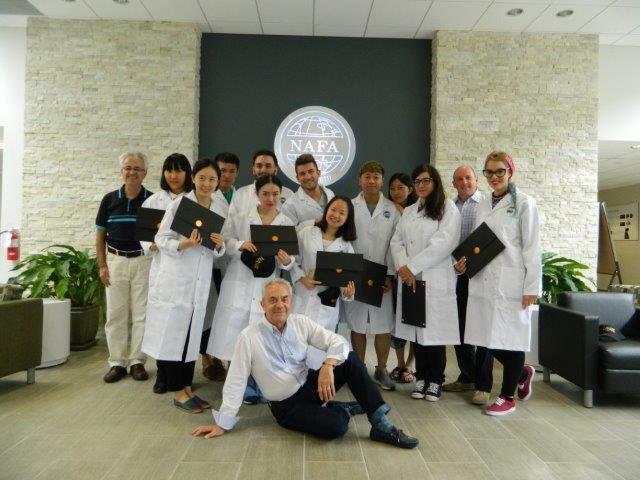 The high level of organization and knowledge along with the courtesy and kindness of people working at NAFA impressed all participants, while the personality of the creative designer prof. Vasili Kardasi charmed them once again. Eleytheria Michalopoulou, first winner of this year’s competition shared her experiences with us stating: “I believe that NAFA offers not just a simple workshop but a life experience. I feel very lucky I was given the chance to live it. Everything was exceptional, from the infrastructure to the behavior of all NAFA’s members”. She went further expressing her enthusiasm about prof. Kardasis and the “magnanimity of his soul and knowledge” stressing out “his unique way of transmitting his knowledge which keeps you magnetized till the last moment”. One of the main objectives of this competition, which Hellenic Association of Furriers organizes each year in the framework of Fur Excellence in Athens, is to enroll within the fur industry young people from the field of fashion design enriching the fur sector with new knowledge and ideas that will contribute to the enhancement of Greek presence in the fur fashion design field. “Fur has entered into my life some years now, and I’m beginning to like it a lot. As a designer, I would like very much to work with fur and be involved in the fur business, since you can do everything with fur” says Erlanto Lakka, who, coming into a tie in the third position of the competition, also enjoyed the prize of participating at this workshop of NAFA. FEA 2017 Workshop, practicing from “Waste to Gold”.